We achieve it by listening carefully to your needs and having a partnership with you. We constantly strive to improve our processes in order to meet costs and delivery times as well as to ensure the quality of our products which we want to be in accordance with your requirements. Finally, the involvement and commitment of all our staff are related to your satisfaction. 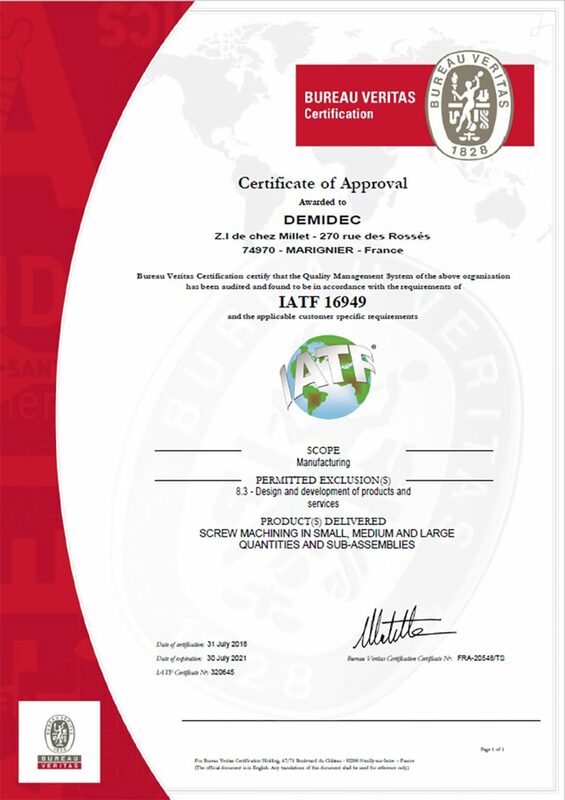 A folder EL / PPAP (automative) level 2 or 3 according to your requirements and in accordance with ISO/TS 16949 is attached to each product. 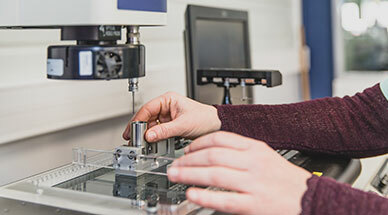 We carry out a SPC inspection for critical component dimensions, specific FMECAs, R&R studies. All these documents are gathered in a control plan. Our problem-solving method uses the 5 Whys technique. Each workstation is equipped with the metrological means required for the checks, we also have “SPC” stations all over the workshop. 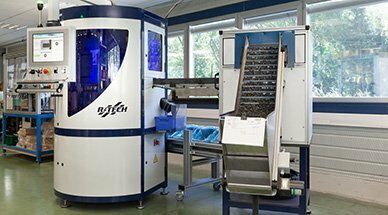 An independent, well-equipped control service including a camera control and a 3D touch probe… We can also carry out cleanliness and gravimetric checks in a specific room and then define the size of the particles. 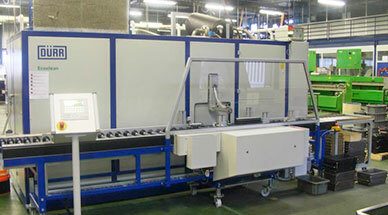 THE QUALITY OF THE BENEFITS IS THE ESSENTIAL REQUIREMENT ON WHICH DEMIDEC BUILT FOR ITS STRATEGY. The control quality management system in all its aspects determines the growth and sustainability of the company. Anxious to bring our customers the best satisfaction of their requirements.